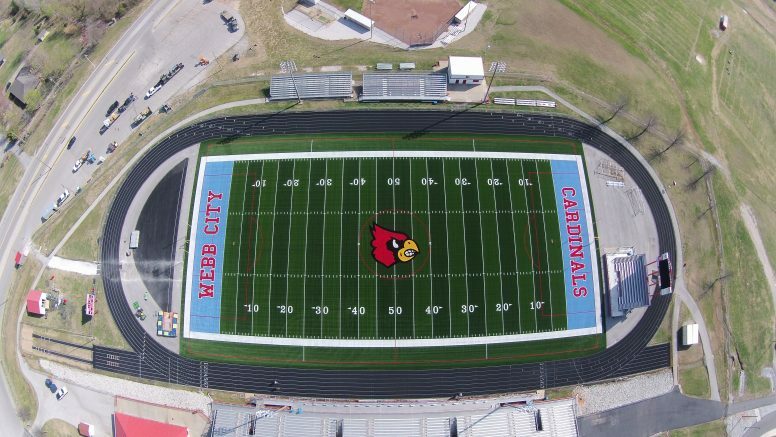 Recently Midwest Synthetic Turf was contracted to install a new football field for Webb City high school after the existing turf reached the end of its useful life. The existing drainage base was not draining correctly so the necessary repairs were added as part of the project. 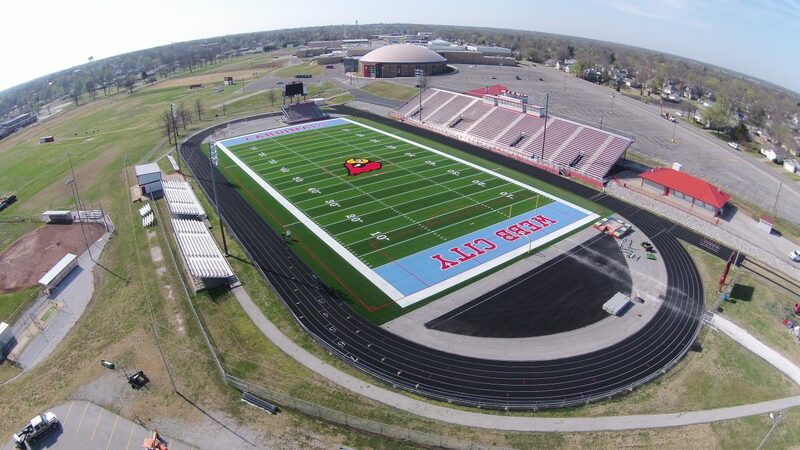 School officials were very interested in pad underlayment as a way to improve GMax performance so Craig Shonk and his team installed a Brock pad under the field. Midwest Synthetic Turf was selected by the turf Committee based on their expertise and reputation as ASBA Certified Field Builders. MWSTP once again teamed with Byrne and Jones to complete the base work. School officials had a lot of confidence in this team given the amount of work they have completed in the area over the last few years.